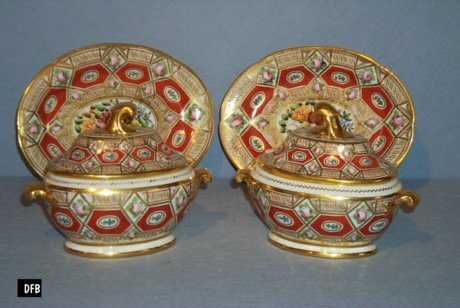 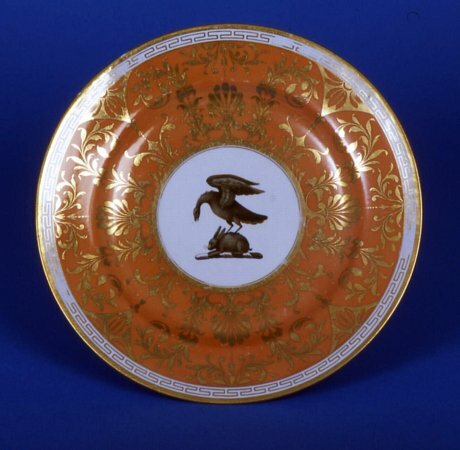 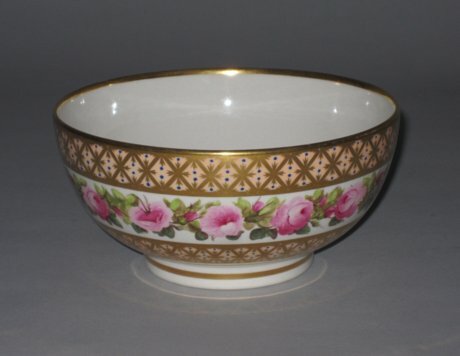 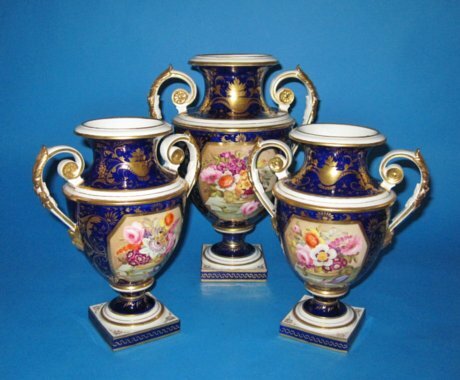 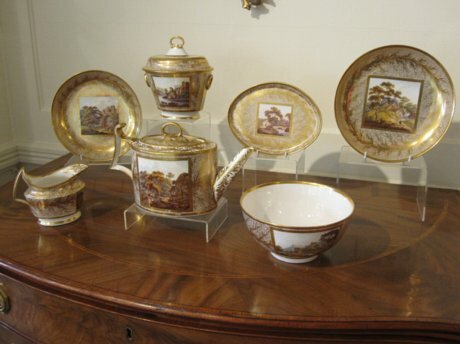 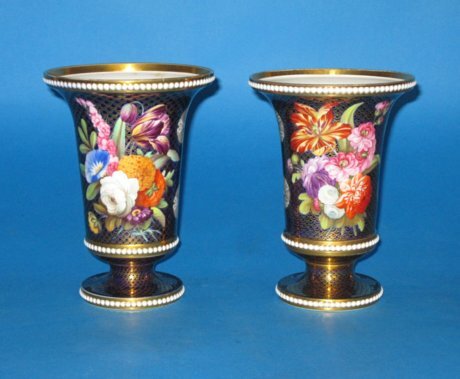 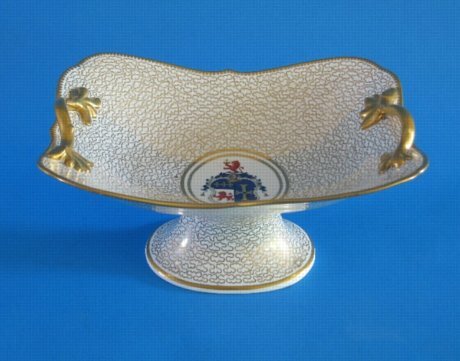 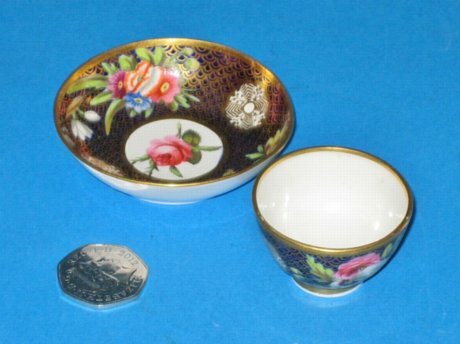 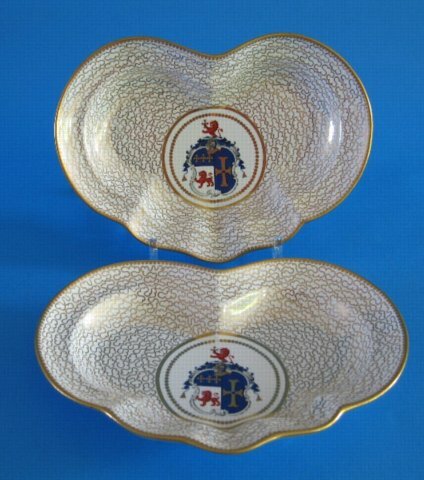 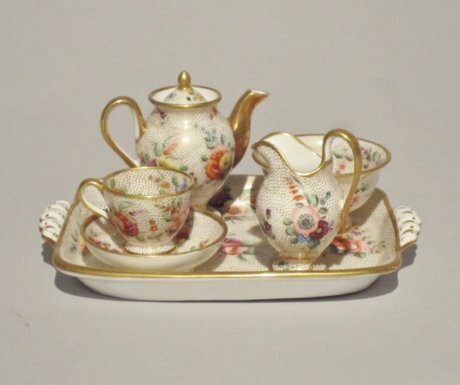 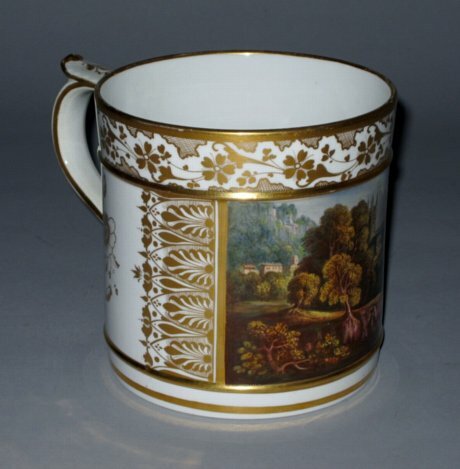 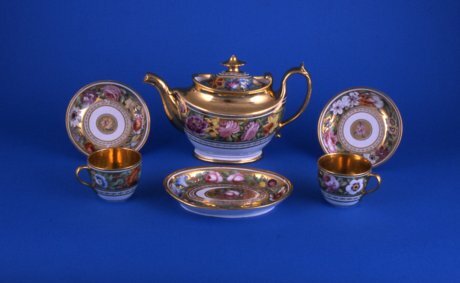 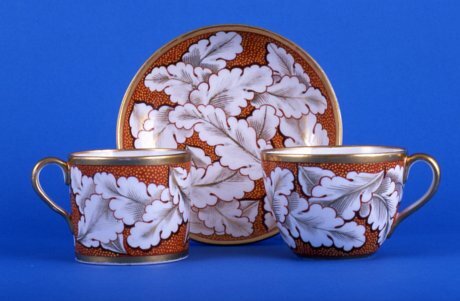 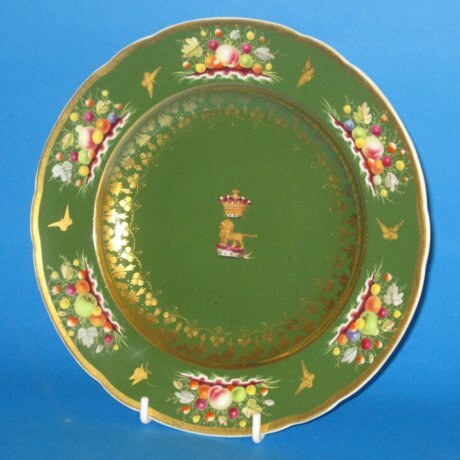 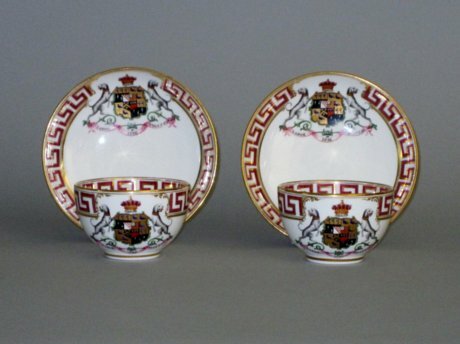 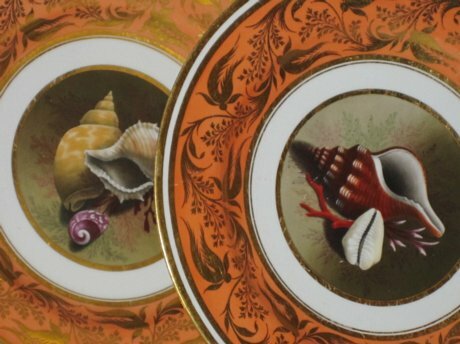 COALPORT ARMORIAL CUPS & SAUCERS, CIRCA 1825. 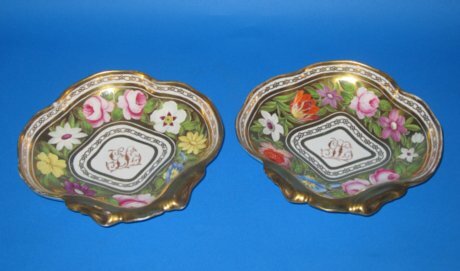 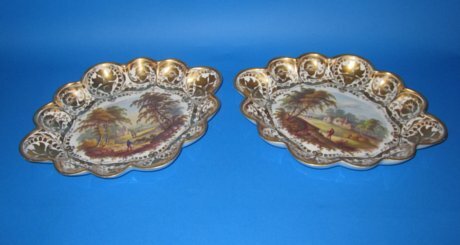 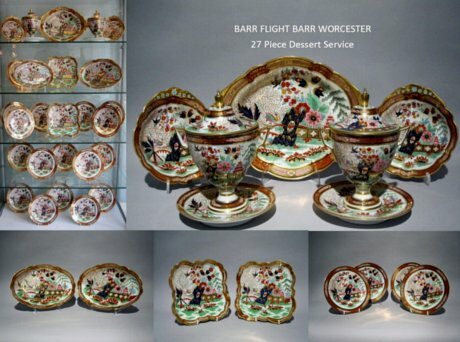 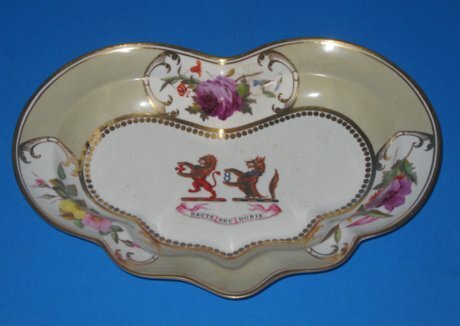 FLIGHT BARR & BARR SWEET MEAT DISH OR PIN TRAY. 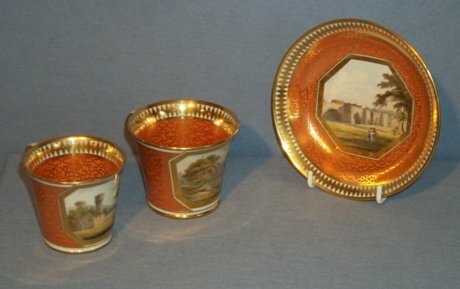 CIRCA 1813-19. 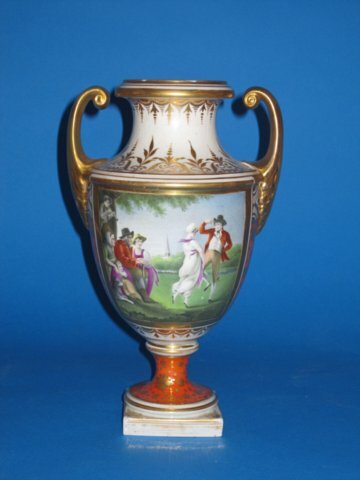 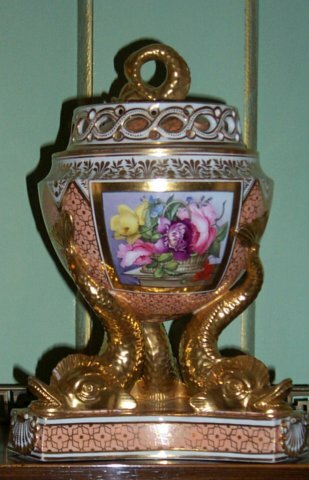 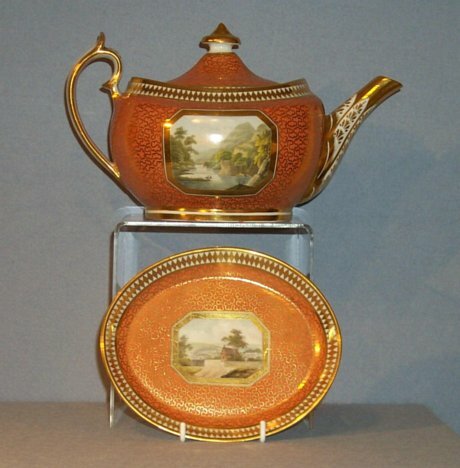 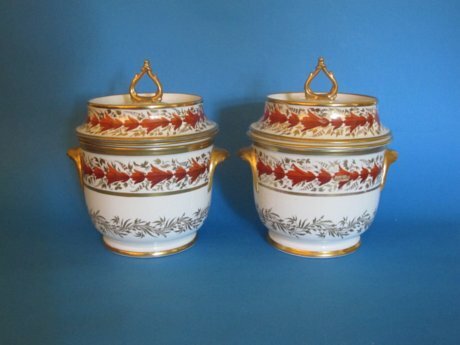 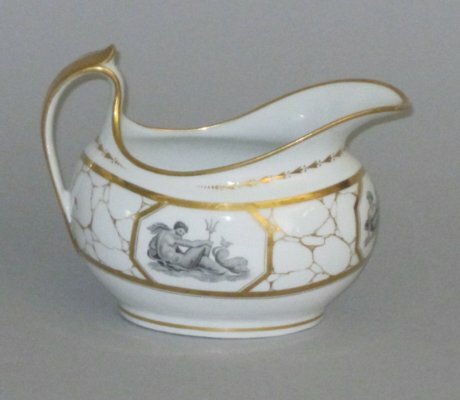 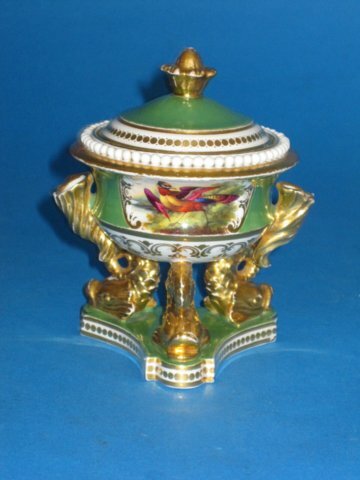 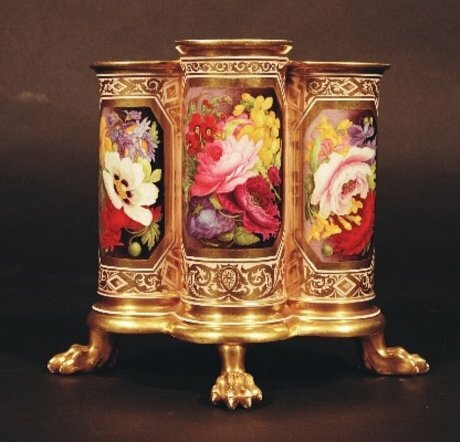 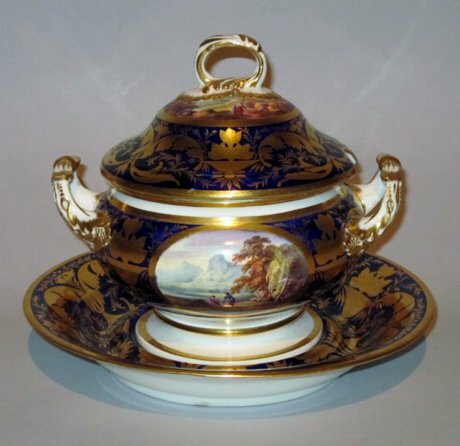 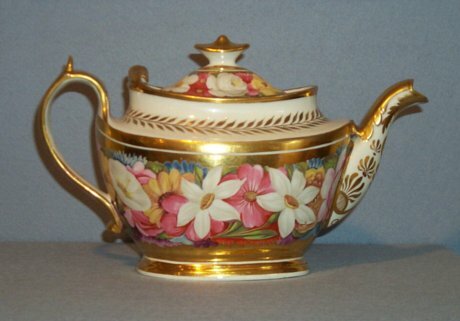 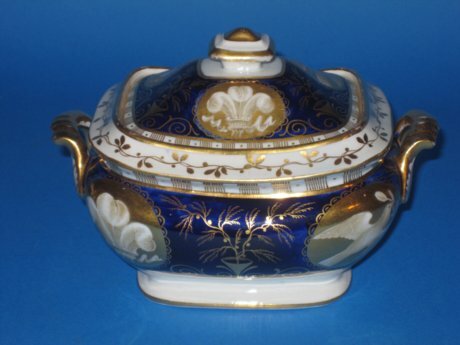 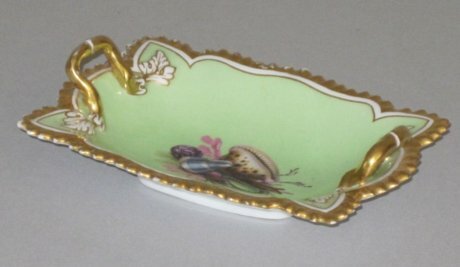 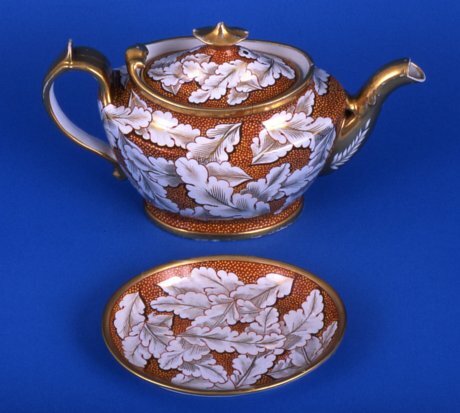 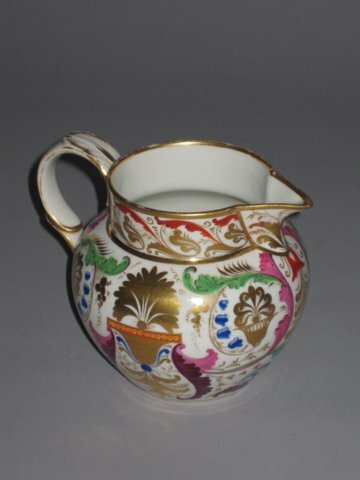 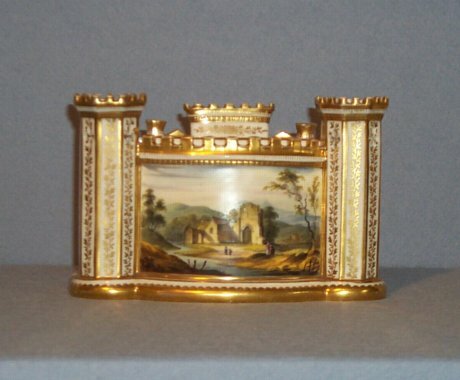 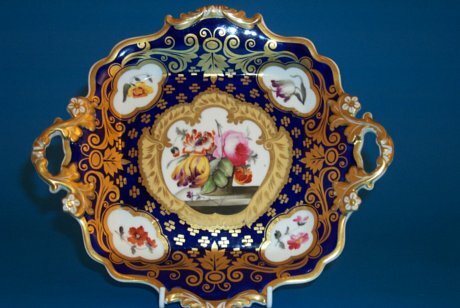 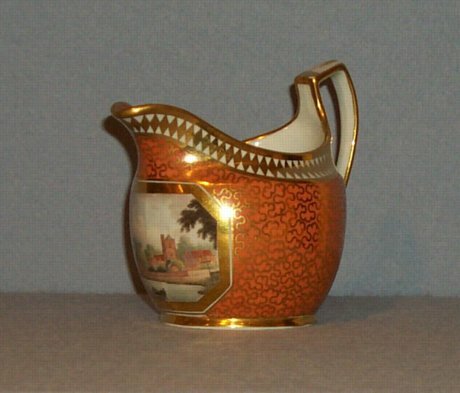 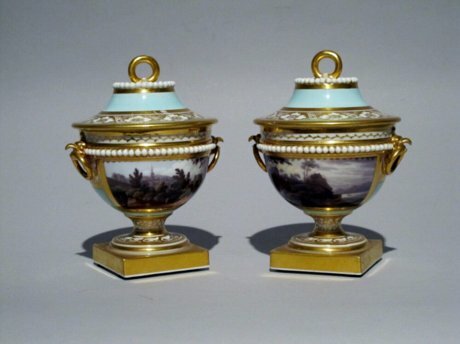 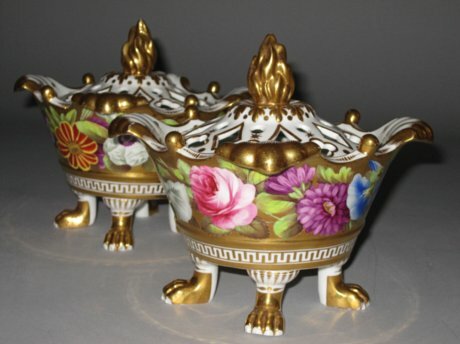 DERBY PORCELAIN TUREEN COVER & STAND. 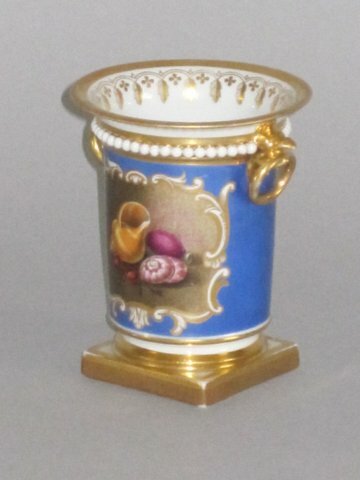 CIRCA 1815.